The 2019 Subaru CROSSTREK PREMIUM. A compact crossover with few peers. A born leader in efficiency and environmental sensitivity. Capable. The symmetrical AWD and 8.7" of ground clearance will get you where you want to go. Clean. EPA rated at 33 MPG highway. Entertaining. With available navigation and the Subaru Starlink system, you'll be connected wherever you are. Versatile. Over 50 cubic feet of storage area and with the optional cross bars for the roof rack, this CROSSTREK can handle what you have. The Subaru CROSSTREK 2.0i PREMIUM with the optional Lineartronic Continuously Variable transmission, auto-dimming interior mirror with built-in compass, rear bumper cover, all-weather floor liners, and rear cargo mat. 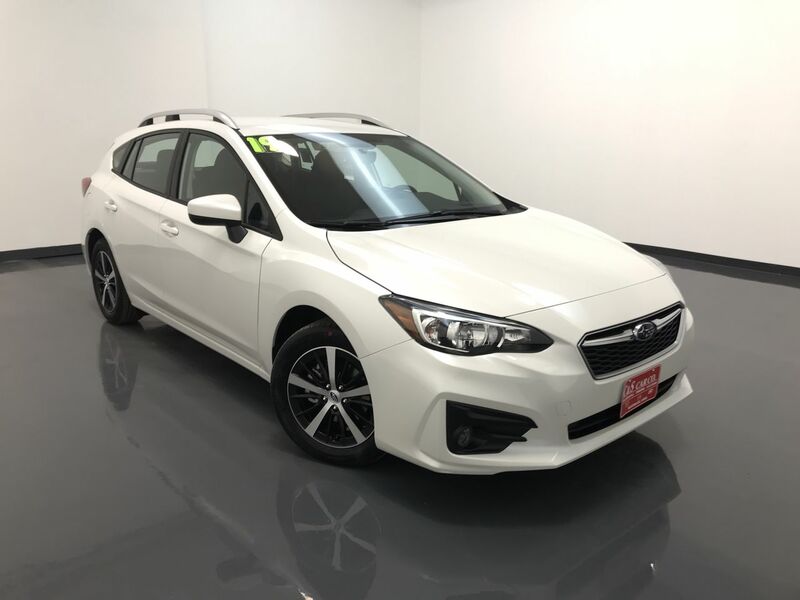 This Crosstrek is also equipped with Subaru's Eyesight Driver Assist technology which provides you with pre-collision braking, adaptive cruise control, lane departure and lane sway warning, pre-collision throttle management, blind-spot detection, rear cross traffic alert, and high beam assist. Subaru. Built to enjoy. Built to last. It's why 94% of all our vehicles built in the last 12 years are still on the road today. It's Subaru.